WASHINGTON — With control of the Senate at stake in next year’s elections, President Obama’s decision to name retiring Democratic Sen. Max Baucus as ambassador to China sets off a chain reaction that could give the White House and Democrats an edge in preventing Republicans from gaining a Senate majority. The beneficiaries could be Montana’s Lt. Gov. John Walsh, a Democrat seeking Baucus’ seat, and, thanks to the dominoes of Senate seniority, Sen. Mary Landrieu of Louisiana, who is facing a difficult re-election. The advantages would be on the margins, potentially giving the two Democrats a slight boost. But in a series of close elections with Republicans needing to gain a net of six seats to recapture control of the Senate, any lift for Democrats could help them retain control and protect Obama’s agenda. Though the White House has yet to announce the nomination, several Democratic officials confirmed it. If Montana’s Democratic Gov. Steve Bullock appoints Walsh to fill the Baucus seat, as widely expected, that would give the Democratic candidate close to 10 months in the job and higher visibility against the likely Republican candidate, first-term Rep. Steve Daines. 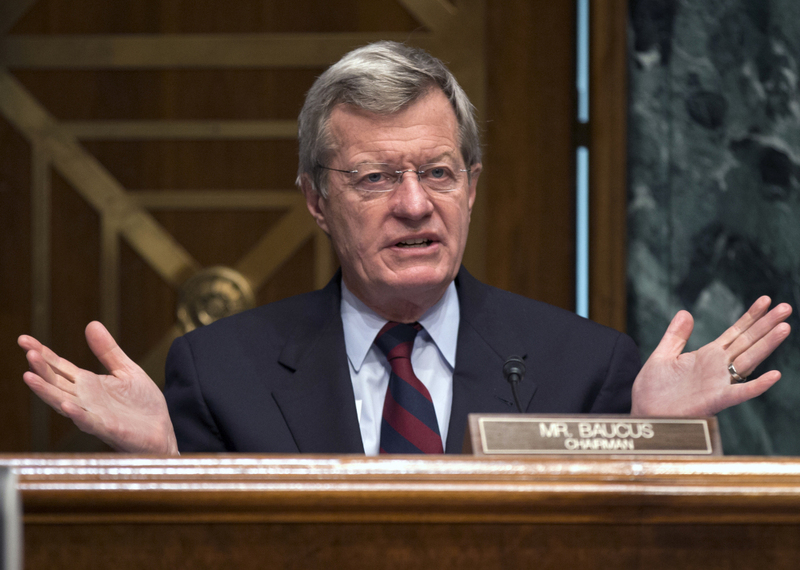 On leaving the Senate, Baucus would give up the gavel of Finance Committee chairman. Potential replacements are Sen. Jay Rockefeller, D-W.Va., who has announced he won’t seek another term, or Sen. Ron Wyden, D-Ore. If Wyden assumes the chairmanship, then Landrieu would be on track to take over the Senate Energy Committee that Wyden currently chairs. For Landrieu, the chairmanship of the Energy Committee would give her greater influence over energy policy, an important perch for Louisiana.